Our financial system needs growth to sustain it, so that loans can be paid back with interest. Once peak oil hits, growth will be gone. Economic growth may even be replaced with economic decline. It is not clear our financial system can handle this. “When it becomes serious, you have to lie”, Jean-Claude Juncker, Chairman of the Euro zone finance ministers and the currency union’s key spokesmen, May 2011.
air, hot government air, redeemable in like units. And nearly as cheap as air to give to the body economic, Rubin and Greenspan (Plunge Protection Team) will work like crazy to inflate the bursting economic bubble with huge quantities of this air. • Money then is a commodity (pretty printed paper, cheap metal slugs, barter items, and/or precious metal coins) that you can use in trade for other commodities you would like. You choose each day what you will trade your labor or stuff for, to use as money. You are wealthy only if you own and control the means to sustain life for yourself and possess items that can be traded with others. • Paper assets are about to be destroyed in the upcoming years during a stock market crash. These overvalued pieces of colorful paper, with the engraved images of our national forefathers, will not feed or take care of you because nobody will be willing to trade anything worthwhile for them. These include Stocks, Bonds and any other debt based paper asset like Federal Reserve Notes and your bank account valued in Federal Reserve Notes. Additionally copper-clad coins will eventually be viewed for what they are – Slugs – imitations of the real thing. What then will be used as money? 1) It must be divisible. 2) It must have high value in relation to its volume and weight. 3) There must be widespread recognizability. 4) It must have transportability. Gold and silver coins satisfy all these requirements. A. How much and what kind of money should I own? personal expenses: mortgage payments, car and truck, taxes, utilities, household supplies, etc. If you are well enough off I would recommend that you have much more. According to the experts you must have cash on hand, not in the bank, to satisfy your obligations or you may be forced to forfeit your assets. Also, as the stock market crashes and banks suspend withdraws, you will be able for a short time to buy pennies on the dollar. Additionally, banking services will be non-existent and checks, credit cards, etc. will be useless. An assortment of $1, $5, $10 and $20 bills is recommended (it may be difficult to get change for larger bills). The amount you feel comfortable storing is up to you. Keep the cash where you can easily get your hands on it. You may not have access to your safe deposit box because of an extended bank holiday. Eventually, the liquidity crises, during and after the bank limits will pass, and paper dollars will be devalued (they become worthless), the federal government will begin taking over the failed banks, they will make good on the FDIC and FSLIC government bank guaranty and other government commitments by printing new larger denomination paper money. $500, $1,000, $5,000 and then $10,000 bills will be reissued by the federal reserve in huge quantities, and/or they will circulate a new type of currency. Copper-clad coins, and small bills will become worthless, unless you have wheel-barrels full of them. Run-away Inflation. This will be a hyper-inflationary period for people holding paper assets, paper money and copper-clad coins. When you get wind of the coming currency devaluation dump your paper and copper-clad money for anything of real value. This is the time to already have your silver, gold and any other items you will want and to barter with. Look for a new National Value Added Tax (V.A.T.) on all purchases and services. Government-controlled rationing will be setup and the Black Market will be in operation. Now the importance of having gold and silver coin is evident after seeing the stock market crash scenario and the destruction of paper assets. The only money that is real is that which has intrinsic value. Currency like gold and silver money will be the only real store of money value. The wealthy individuals to emerge from the coming stock market crash and depression that follows, will be the ones who have preserved their wealth during the destruction of paper assets. Face it, after having a roof over your head, food to eat and clothes to wear, you will be wealthy only if you have things of real value to others and if you can turn that into opportunity for yourself. Barter any commodity that you can but the two commodities historically that always become real money and a reserve of value are gold and silver. You will want now to buy as much silver as you can, before the VAT becomes law, and while the rest of the world is chasing after paper assets. Today, silver is a good value compared to how it will appreciate. Although you will want to acquire gold, silver is better suited for small exchanges and will be used more for the day-to-day purchases. Get plenty of junk silver, pre-1964 dimes, quarters and half dollars by the bag ($1000. face value), 1/2 bag or smaller amounts. You are basically getting old U.S. silver coins that have been picked through to remove the rare pieces. The price is currently about 5 times the face value. Old silver dollars are much more expensive costing about 30.88per dollar (based on 39.90 spot price of silver, 29 July 2011). Your best value for silver dollars is to get newly-minted US American Eagle silver dollars, the US mint has been minting the new silver coin since 1986 and they are about $44.60 each (29 July 2011) and contain 1 troy ounce of 99.9% silver, this is about a 0.3 ounce more silver than carried by the old silver dollars (0 .714 troy oz.). All these coins contain a specific amount of silver and are recognized by the whole world as to their size and weight. U.S. coins are better than other coins or bullion because of their recognizability, so don’t hold anything, but U.S. gold and silver coins. The best value in U.S. gold coins are the ones minted by the U.S. Government. 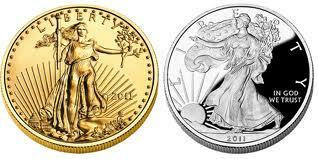 US American Gold Eagle coins are currently minted, ranging from about $180, May 2011, for the 1/10 oz. coins to about $1,627, July 2011, for the 1 oz. coins. There are also 1/4 oz. and 1/2 oz. coins, but I prefer either the 1/10 oz. or the 1 oz. coins. • 1/10 oz. gold coins should be used to barter on small items; items that are larger than what you can buy with your 1 ounce silver coins. The 1/10 oz. coin is ‘valued/stamped’ at $5.00 and would be an easy way to buy something worth a fraction of the 1 oz. of gold. • The 1/4 oz. gold coins are improperly valued at $428, May 2011 because of their weight; the 1/2 coin is not a good value because of its increased commission. • The 1 oz. coin is the best way to store large quantities of gold and is the most cost-effective method. Each coin contains 1 oz of 91.6 pure gold in troy ounces plus a small amount of hardening metal to strengthen the coin, each coin weighs slightly more than its stated value. After socking away new copper-clad coins, paper money and silver coin, you will want to buy as much gold coin as possible. You will preserve your wealth through the coming paper asset destruction and will emerge as a rich individual. If you are financially capable of storing (your long-term ‘savings account’) gold and silver, you should have different types of gold and silver holdings. I would suggest starting your bullion holdings with cash and junk silver, then progressing to American Eagle silver and gold bullion coins. Besides being the historical standard for money, silver and gold are also barter commodities. You will want to have the right denominations/weights of silver and gold coin to transact business. Which silver or gold coin you will use, depends on the cost, situation and who you are working with. People familiar with the old ‘junk silver’ coins would rather trade with them than with bullion coins. Some people will see your US gold or silver Eagles and feel secure that they can count on that coin to be what it says it is and will be more willing to make a trade with you. this item? The person next to you with a 50 dollar bill of questionable value, or you with 50 dollars in silver or gold coin – the store keeper or trader will recognize that your coin has a much higher intrinsic value. Of course you will get the medicine; however, if you only had an unrecognized bullion coin or a ‘junk silver’ coin from another country you may not. Buy as much junk silver and American eagles as you have the means for. The bullion coins will preserve your wealth through to the other side of the collapse of paper assets and you will have the means to get going financially. Old junk silver coins are meant for dealing with local stores for small transactions during and after the upcoming paper asset collapse. Deciding what and how much to store all depends on your situation, will you have the desired money medium for the opportunity/life style you are pursuing? to get any value they can from it. Other than a pile of small bills to see you through a crisis, cash is a bad thing to hold because of possible hyper-inflation and the fact that it is backed by practically nothing. Obviously the bulk of your investment money placed in a good fund tied to the performance of the stock market is the best place to be right now; long if you see the market rising and a ‘short’ ETF (DXD and others) if you see a decline coming. B. Forces which cause gold and silver to rise in value. years on the average. However, if a deal or situation presents itself that is extremely advantageous such as gold appreciating in value to quadruple or more what you paid for it–consider selling– you can always buy property with the proceeds. 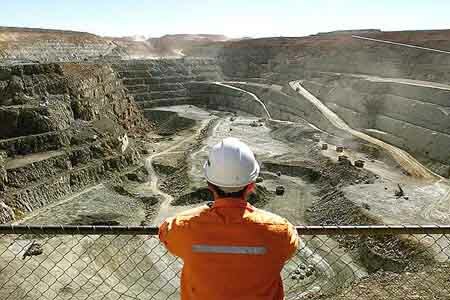 Just before the peak of another depression, gold, is estimated to possibly rise to $3000 – $6000 an ounce. And if the President bans gold altogether; then places the U.S. back on the Gold Standard—as it is felt in many of the bearish financial newsletters, gold could a lot higher! Spot silver prices are closely connected to the same factors as those driving gold; however, because of the low supply of available silver, it may become nearly as valuable as Gold. 2. Increasing Consumer Demand- in China and India, as well as Europe. 4. IMF: “By the IMF’s [International Monetary Fund] own documentation, the international banking community is trying to create a new global currency that will be backed by gold valued at between $3,000 to $5,000 per ounce.” –The Economic Outlook; Vol. 7. #1. January 1998. –The Economic Outlook; Vol. 7. #1. January 1998. The following table provides my personal thoughts on the way to split up assets in order to cover most contingencies. I recommend you set aside the cash mentioned in the top half of the table first, and when this is done, do what you can to develop the funds to buy some combination of the bullion listed below. currency collapse or become more valuable in the post disaster period. When the window of opportunity is seen about to close, you must immediately transfer the bulk of your extra cash into some combination of ‘commodities’, such as; food, land, housing, other real estate, and barter items. US worker. With slightly reduced circumstances, this sum will provide 1) Four to five years of supplemental income, or 2) in a severe depression it would provide about two years worth of 50% pre-crisis income, or 3) in a catastrophe, provide one full years income. Coupled with your food and water storage plan, as discussed in, 1) Survival Guide/ Food&Water /Develop a Survival Food List, and in 2) Survival Guide/Warehouse/Food, you should have the capacity to weather a serious dislocation. With the adoption of other support systems, discussed and enumerated in Warehouse/… your resilience and survivability should see you through most of the abrupt physical catastrophes that may impact a region or a national or global economic collapse. While watching the short term, keep in mind that there are very long term cycles of human conduct and behavior toward one another, in our exploitive relationship with the natural environment, our modern civilizations energy use and resultant population numbers, as well as environmental ‘black swans’. The interplay of flux and flow between these relationships, trends and surprise events show themselves in the changing levels of human prosperity. On 19 April 2011, the spot price of silver reached $43.07 and began an overdue correction. As technology developed the steam engine and later, our petroleum-based civilization with electricity, mining technology brought about an easier extraction of minerals. Now, as we moving through the brief peak oil plateau period, our open-pit mines have grown huge and underground mines extend for miles. There are no more easy surface ‘finds’ of most of our civilizations industrial mining needs. When our oil supply declines there will be a diminished amount of mine rals extracted from mines and at higher real prices (above what ever inflation will be). There will be less because the huge quantity of almost free labor provided by oil driven machinery will be declining, but also because we will have already extracted the bulk of the available resources. all mined minerals, lumber, paper products, aluminum, rare earths and uranium. Costs will rise rapidly during the coming few years irrespective of whether there is inflation or deflation. The things we have grown accustomed to around the turn of the 21st Century will become increasingly difficult to obtain at ‘reasonable’ prices, the cost of ‘things’ will go up in real terms. The decade from 2011 to 2021 will be wild. Trends, expectations, and the daily events of life can be thought of like scattered colored pieces of a jigsaw puzzle. From your experience and the short historical perspective of your life, you form an idea of the current and probable security provided by your environment. You look at the assembled parts of the picture and develop a general idea of the completed future image and your place in it. In good times, there are fewer puzzle pieces and each seems big, so putting a few parts together allows you to easily imagine the larger-view of the future. In harder times, when nations and huge international (food, banking, energy) industries have financial, political and military reasons for hiding their ‘game hand’, the important pieces of information become numerous and small. As global and national economic times deteriorate and you continue about your daily life, you have an ever decreasing intuitive understanding of conditions and less accurate view of the big picture, resulting in a diminished capacity to carry about your long term life business effectively. The ebb and flow of your stored money, your potential energy is generally: Where to store these hard-earned savings? How much to save over any given period of time? What is the best long-term manner in which to spend or store large blocks of value when a given need is seen arising? During increasingly difficult economic times, you still put those pieces of the puzzle together in your mind, the same as you always have, but the scale and quality of the information you receive, has changed. Think of this as somewhat related to inflation. When inflations first begins, no one sees it for what it is, but as prices creep up, inflation slowly becomes visible and irritating to everyone, only then do people individually begin to change their behavior in self-interest. Meanwhile, the entities causing the inflation want to cover their tracks, so information given to the public is doctored, altered and diminished, official news bites are false, designed to keep the populace calm, to keep them from acting in their own best interest. Because the normal indicators are not functioning in the accustomed way, you have to rely on other lagging indicators to replace the ones previously used. This requires work, so most people, being busy, go with the flow and in doing so no longer have that ‘more accurate’ larger-view of the future which they once held. It’s all about money, and if not money, power. What can you lose by not adjusting your view of the future to fit the current cycle of economic reality? You can lose: the value of your 401K, value in your Treasury notes and bonds, long-term stock valuations, your home equity, interest from saving in bank instruments, while paying higher local-state-Federal tax rates, food, energy, maybe even a Value Added Tax. In todays context, if you knew how these broad investments were falling out of favor, you’d have begun putting your savings into other assets, ie., certain foreign currencies, gold, silver, precious metals stocks, energy production and infrastructure, a little more food in the back of your cupboard before prices rose, maybe cash in the cookie jar. Believing there would always be plentiful oil and gasoline, maybe you bought a large auto– without the knowledge that within a few years gasoline would be much more expensive in real terms and there might even be rationing. By then, with the economy, still in a recession, with everyone seeing higher gas prices and few having cash to spend, you would have to take a major loss on trading in the ‘gas hog’ vehicle for a smaller more gas efficient model. Perhaps, with better information you might have bought a townhouse close to your local shopping district, instead of a stand alone house in the suburbs, ‘gas-miles’ from the shopping district. Rather than buying a recreational vehicle, you might have bought a small parcel of rural property for camping or a cabin, and used a car top carrier or utility trailer to carry gear to your private bit of nature. The rural property could also be used if for a while, things grew unsafe in the city. Money is also supposed to be a store of wealth and accountability. It’s not that ‘prices are going up, the value of your money is going down. Note: 50 years ago, in 1961, the price of one gallon of regular gasoline cost 31¢, that would be a quarter, a nickel and a penny, 31¢ . The quarter you would have paid for the gas with, was what we now call a ‘silver quarter’ containing 0.18084 ounces of silver. Real money-silver coinage was discontinued by 1965, where upon, nearly valueless copper clan coins were issued and which we still use today. The current value of that common old 25¢ coin is now $7.05 (silver spot price= $39.01). Today, 10 August 2011, a gallon of local regular gasoline costs $3.59, so that silver quarter would buy practically 2 gallons of gas, 2 gallons x $3.59/gallon=$7.18, while the value of the silver quarter is $7.05. And this is why during the last 70 years we’ve gone from a condition where one worker could support his family, to a time when it took both Mom and Dad to support the family, and now takes Mom and Dad, credit cards, and maybe a 2nd home mortgage to provide the same. At some levels of societal organization, it’s all about money or power; on lower levels it’s about not being robbed and left to face the economic winter (depression, unemployment or old age) with out the safety net provided by your savings–the product of your labor. In the deep past, when men depended directly on the land for their livelihood, when a robber Prince took part of that property the peasant family had less resilience to survive. Today we don’t have ‘land’, per sae, we have money and investments, when the modern version of the robber Prince takes your property, they take your money or your future claim to the things money can buy, leaving you less resilient to survive. The Coming Chaos, will turn over a few pieces of the puzzle, ones that you may not have seen, ones that give you a somewhat larger view. Be aware, that sometimes its better not seeing to your life’s horizon. The world is in a state of constant flux and continuous change and there is nothing so certain in life as uncertainty. None of us know what the coming years will bring. One must be wary both of the innocent and rose-tinted view that the US and hence the global economy are just fine and the good times are about to roll again and of fear mongers and prognosticators of doom whose only message seems to be ‘resistance is futile’. Meanwhile, with the evolution of electronics into computer, satellite, Internet, and digital information technologies, the recent decades have created a web of global interdependence, of ‘just-in-time’ supply, transportation, international banking, a layering of complex financial interactions and the immediate spread of information. Globally, human society has accumulated such complex interdependencies that it has affectively become like a spider’s web – where a disturbance of one strand shakes the entire web. Further, this intertwined body of global humanity has reached critical points in its equilibrium. It is at a point of dynamic, critical vulnerability; and at such moments the slightest of impacts in one sphere of global concern can set into motion an unpredictable chain of events across the interconnections. It is only common sense, with the fragility of our system, to prepare for any disturbance with supplies. How long could you survive with what is on hand? Think about storing extra food, water, fuel, and whatever you think you need to get through. If one very large, or several moderate to large (Volcanic Explosivity Index) volcanoes go off, we may experience very muted daylight for several seasons to a year and unable to grow enough food for even the prosperous nations. Are you even prepared for the possibility that your communities electric power could go out for a week or more, during the summer, during the winter? Many of us have never had to make a claim on our insurance. Therefore when we continue to write an insurance payment check month after month, we feel as if we are pouring money down the drain. Even though you’ve never had to make a claim on your insurance, there is a good reason that it’s there. Naturally, insurance is there to protect your you, your family and your investments, but let’s face it; many of us wouldn’t bother with insurance if it wasn’t required by law, or the bank. First, we decide which threats to protect ourselves from, then we find a way of doing so at the lowest possible cost. Survivalism is basically the same. I’ve created a list of survival threats at the side of the page. Some events are so destructive that they are not worth worrying about and have not been included, i.e., multiple impacts from a fragmented comet, or a ‘nearby’ star emitting a planetary sterilizing gamma ray burst.. There is no way of protecting yourself against Hollywood style events so there is no point in spending money on them. The best value for your money is to identify threats that you think are moderately likely and that may be dealt with easily. Most threats require the same core defensive measures with varying specifics. 1. Is your job & income 100% secure? 2. Would you be able to have the basic necessities (shelter, food, water) if you lost your income for a prolonged period of time? 3. Would you be ok if your local grocery stores didn’t have an inventory resupply for a few weeks? 4. How would your finances hold up in a currency crisis where the dollar rapidly lost much of its value? 5. Would you be able to protect your family in the event of increased crime and decreased police presence? “…Each person’s needs and abilities are unique, but every individual can take important steps to prepare for all kinds of emergencies and put plans in place. By evaluating your own personal needs and making an emergency plan, you can be better prepared for any situation. A commitment to planning today will help you prepare for any emergency situation. Preparing makes sense. Get ready now. • Consider how a disaster might affect your individual needs. • Identify what kind of resources you use on a daily basis and what you might do if they are limited or not available. • Buy or make an emergency supply kit. “You just heard it on the evening news. It’s now a reality. Your city has been locked down. There are roadblocks on all arteries in and out of the city. No one can come in or go out of the area. The grocery stores, the gas stations, and all other public facilities are closed. Everyone has been told to stay in their homes. Your family has five days of food left. Seven days, if you and your wife eat much less, and give it to the kids. Water is only sporadically available when you turn on the faucet. • Don’t rely on the government to help you. As big as they are, when disaster hits they’re both: 1) too big a bureaucracy, 2) with too few people on the ground, to help a large number of people in a reasonable amount of time. • Don’t rely on utility companies to help you. They will have priorities and will be working almost around the clock, to get things restored, but, a) it won’t be fast enough no matter who you are, and b) you’re probably not a priority. Don’t complain about it – be prepared for it. • Don’t rely on your Insurance company for anything more than a check. Insurance is about money, it’s not their job to repair your home or put your life back in order. While some might refer you to local contractors, many do not, and in times of overwhelming need, both adjusters and contractors are going to be hard to come by. • Know what your area is at risk for (i.e. Seattle has a major earthquakes every 100 years or so, and moderately damaging windstorms every 10 years) and be prepared to take care of yourself for awhile. • The government’s, ‘Three Days of Self Sufficiency’ campaign, is woefully inadequate. • Mankind endures ‘an episode of great wealth destruction’ at least once every century. People should prepare to ride out a disaster, be it a tsunami, a market meltdown, an EMP grid down scenario, volcanic winter, deadly pandemic or Islamic terrorists with a dirty (radioactive materials) bomb. • The rich (all of us in the Western world) get complacent, assuming we’ll have time “to extricate ourselves and our wealth” when trouble comes. The rich are mistaken, as ‘the Holocaust’ proved. • People generally do not feel the unthinkable will happen to them. However, many times there are situations out of our control that affect us in a big way. Major events that affect the food supply are especially troubling. • Events move much faster than anyone expects’ and the barbarians are on top of you before you can escape. The times that we endure today will be the history that others will read tomorrow. History has shown us events that have destroyed some societies and created new ones to take their place. Those who rise to power often decide the fate of millions. And there have been times when a people rise up as a nation, united to achieve mutual goals of prosperity and hope for a better future. Today as a nation, Americans must uphold their moral convictions and beliefs that a nation of people who stand united will not perish. There are events occurring in this country that could change the very existence of our nation as we know it. And no one person or political party can decide the best course of action to ensure our prosperity and hopes will not be taken away from us. The answer to our problems is right in front of us, and we must cling to it as if it is our only hope, because it is the only thing ‘We The People’ have left: The Constitution of the United States of America . Our policy makers are in a Catch 22. It’s checkmate, and the only thing that we can do is delay… to a point. We need austerity measures, much more severe than those of France, Greece and the rest of Europe, but mass cuts in entitlement programs that tens of millions of Americans have come to depend on will lead to serious problems, not just for our economy, but on a social level as well. What happens if 40 million people were to lose their food stamps, or 20 million people lose their unemployment benefits? Many are already at the breaking point, if the government were to stop the gravy train, as Chapman puts it, the system would get very chaotic, very quickly. Thus, we just don’t see something like that happening anytime soon. But make no mistake, the current entitlement system, driven mainly by US government borrowing, is unsustainable. So, whether we like it or not, the cut to entitlement programs is coming one way or the other. Politicians are just not going to do it. For many, it would be political suicide. The end result we foresee is, as Chapman points out, ‘a high inflationary environment that will make it impossible for the average food stamp, unemployment or welfare recipient to purchase essential goods like food, energy and shelter’. We’re seeing it in Social Security already, albeit in limited form. The government has not re-adjusted social security payments higher because the CPI inflation index has not shown an increase over the last couple years. However, the CPI does not include calculations for food and energy because our government says those are highly volatile and should not be counted. Thus, Social Security recipients are now paying more for food than they were two years ago, but there has been no adjustment made in their benefits. They’ve essentially taken a mandated pay cut as the US dollar has lost value. This is exactly what we will see in other entitlement programs. Now imagine for a minute what it will look like if/when inflation is running rampant at 10% – 15% per year, and entitlement adjustments only account for 1% to 3% increases. A lot of people will go broke a whole lot faster. We’re not talking about people not being able to buy iPads, new home decor, or Christmas presents for the kids. No, we’re talking about being able to put food on the table, paying the rent for shelter and putting gas in the car. This can get very ugly. As Peter Schiff previously pointed out, ‘a great number of Americans will be impoverished’ and, according to Gerald Celente, ‘many may take to the streets in riots and protests circa 2011 and beyond’. People have been asking how we see the future unfold. Here is a brief summary (in no particular order and not meant to be exhaustive) of the ground we have consistently covered here at TAE over the last year and a half, and before that elsewhere. The economy has taken a dramatic turn for the worse for many Americans. While many individuals and households have had the financial resources and good fortune which will allow them to weather economic uncertainty, many will simply not be able to maintain their standard of living. Many two income households are now one income households and that income may have decreased due to companies cutting back on work hours. This situation has been occurring for many Americans for many, many months, forcing people to assess what is important and downgrade their lifestyle. The time to make hard decisions has arrived, and will dramatically alter the lives of many for years. • You might have to stop making your car payment and save those payments up to buy a used car. The car you currently have financed will be repossessed. • You might have to stop paying your mortgage and save those payments up to move into an apartment. • You might have to give up your healthcare, your magazine subscription, your club membership, your vacation plans, your charitable donations, your cell phone, your internet access or home phone service, your lawn care service, your financial support that you provide to friends and family who are having financial problems themselves, and many more expenditures not listed here. • You might have to contact an attorney to discuss bankruptcy. • You might have to sell off your possessions and assets. • You might have to move in with other families, friends, relatives, or shelters provided by the government or charitable organizations. • You may come to realize that what you thought was valuable and important to you has no value or significance at all. Basic human needs will become the biggest priority in your life after you shed (lose the use of) the things that have merely brought comfort and convenience to you. You may be forced to downscale your lifestyle so dramatically that it will cause you to question your own intelligence and hindsight for not planning for such a life changing event. • Food and ‘non-electric’–with the means both to prepare it and store it. • Portable water filtering devices and containers to store water for drinking, cooking, and bathing. • Over the counter medicines, vitamins, supplements, first aid supplies, and some basic health and first aid literature in book form. Individuals using prescription medications, or require medical attention, will need to determine their best course of action during a period of financial distress. • The need for shelter may require the purchase of a tent, camper trailer, and other camping equipment if you can no longer provide an actual roof over your head and have no one to turn to. • The need for personal protection will become more obvious as desperate people begin to take desperate actions to provide basic needs for themselves and their families. The level of security you choose will be determined by your location, your finances, and your personal views and beliefs. If chaotic conditions occur, lawless activity will surely follow. Past incidents of disaster and mayhem give much testimony to this. PARIS (AP) – The French government is short-circuiting a protracted debate in the Senate on a bill raising the retirement age to 62, brushing aside some 250 amendments. Faced with widespread protests against the bill, the government is ordering Senators to vote on a package of its own design, using Article 44-3 of the Constitution that allows it to step into the parliamentary debate. PARIS (AP) – Protesters blockaded Marseille’s airport, Lady Gaga canceled concerts in Paris and rioting youths attacked police in Lyon on Thursday ahead of a tense Senate vote on raising the retirement age to 62. A quarter of the nation’s gas stations were out of fuel, despite President Nicolas Sarkozy’s orders to force open depots barricaded by striking workers. Gasoline shortages and violence on the margins of student protests have heightened the standoff between the government and labor unions that see retirement at 60 as a hard-earned right. Shopping streets stood nearly empty Thursday in central Lyon. The Bistrot de Lyon didn’t put tables outside as usual out of fear of clashes. “We’ve seen a reduction of 30-35 percent of business overall, for the last few days with the rioting in town. Lunchtime, nothing is going on, we’ve no one. It’s more than calm,” said restaurant manager Philippe Husser. In Nanterre, the scene of running street battles between masked and hooded youth and riot police in recent days, the scene Thursday morning was calm, said Mehdi Najar, one of a few dozen red-jacketed mediators organized by the city hall to try to keep the peace. In Marseille, hundreds of workers blocked all access to the main airport for about three hours early Thursday. Passengers tugged suitcases along blocked roads as they hiked to the terminal, before police came in and the protesters dispersed. Bob Chapman, of The International Forecaster, says it’s time to prepare for the worst, comparing our impending economic crisis to that which was experienced at the onset of 1348 and the following century and a half. The Black Death is estimated to have killed 30% to 60% of Europe’s population, reducing the world’s population from an estimated 450 million to between 350 and 375 million in 1400. This has been seen as creating a series of religious, social and economic upheavals which had profound effects on the course of European history. It took 150 years for Europe’s population to recover. The plague returned at various times, resulting in a larger number of deaths, until it left Europe in the 19th century. While Chapman does not suggest we will experience our own black plague pandemic, he predicts that the consequences of our economic collapse may lead to total destabilization and wars, much like post-plague Europe. As you are now well aware Fannie and Freddie are going to punish people who have stopped paying their mortgages, who can pay them, and who are paying other bills instead. This leaves lenders with foreclosures and much more inventory than they ever imagined. This additional problem will bring on the double dip that Wall Street and Washington so fear. As a result of this and other failures we are about to experience the worst economic collapse since 1348. The stock market is topping out readying itself for its most disastrous fall in history. The fall will be followed by years of depression, all of which has been deliberately created to bring the world economically and financially to its knees in an attempt to bring about world government by Illuminists. Some market analysts understand where the market is headed, but most who do understand, write and talk about the mundane observable trappings and not what the situation is really all about. We have several analysts talking about a market collapse. They do not talk about the real forces behind our misfortune. There are always these lone voices in the wilderness, which at best – some 15% of the populace – listens too. You had better listen this time because it could well cost you not only your assets, but your life, especially when another war is being prepared for you to engage in. Nothing is really as it seems to be and there are no coincidences. You are about to enter a world of chaos from which few will survive unscathed. A world of no banks, no public facilities, no food and rampaging gangs of desperate people. Unemployment of 50% and little law and order. Violence will be rife. This is not a pretty picture, but we have spared you the details. The world had better wake up fast so they’ll be prepared to deal with what is to come. If you were not aware of it the dark side really exists. We are now entering the next to last phase of our journey. The wanton creation of wealth, inflation and perhaps hyperinflation, which will rob you of your assets. A stealth attack on what you have left by the people who control your government. Such monetary creation is the only way these people can keep the game going. They know it won’t last, but they proceed anyway. For awhile they’ll keep the multitudes at bay with extended unemployment and food stamps, but that will fade in time for lack of financial control, as the system begins to break down. You already see all fiat currencies under fire, as is sovereign debt. Can it get any worse? Of course it can, and it will. Implosion is the word everyone is going to discover and understand. The picture Bob Chapman paints is one that may lead to an initial reaction of, “What? No way that can happen.” Perhaps it can’t happen. Perhaps, it really is different this time and our benevolent leaders and the powers that be are capable of managing this crisis. Perhaps they will restore jobs to pre-crash levels. Perhaps home prices will go back up to record 2006 levels because tens of thousands of buyers will appear in the market. Perhaps the Federal reserve will be able to sell of their toxic assets, not have to print more money to bail anyone out, and the world will demand that the dollar remain the reserve currency of choice. Perhaps all of these people in delinquency on their mortgages will be able to catch up on those late payments. Perhaps governments will stop spending more than they take in and all of their debts will be paid off. Perhaps the globe’s top financiers will figure out a way to deleverage the trillions of bad debt currently working its way through the system. Or, perhaps they will not be able to reverse course. Let’s assume that they can’t reverse course. How bad can it really get? This is something that our elected officials and those at the Fed, Treasury and large institutions will not overtly discuss. But clues have been dropped throughout the last several years. And, you need to look no further than those very same officials. Are some popular movie and television images from the end of the first decade of the 21st century, a harbinger of less severe, but rhyming themes to come? Movie entertainment themes are a fulfillment of consumer curiosity and expression of the sediment of the times. Movie image, I Am Legend (left). Disease has almost eradicated mankind, only a few random survivors exits in decaying cities. Movie, 2012. Earth crustal shifts with continents sinking into the ocean. Several thousand people escape drowning aboard huge ships. Movie, The Road. A catastrophe has almost wiped out mankind. Survival is harsh in a barren land of armed scavengers. Movie, The Book of Eli. Most of Man destroyed by calamity, there are few survivors, much chaotic lawlessness is pervasive. TV series, The Walking Dead. Brain disease reduces most of mankind to zombies, a few healthy survivors gather and try to eke out an existence without becoming infected. TV series, Falling Skies. Aliens attack Earth; humans are slaughtered and small remnants driven from cities. Survivalist lifestyles develop as ragged groups try to feed themselves and resist the aliens. Movie, Contagion. Earth population depleted by fast acting virulent disease. Chaotic conditions develop. Garbage lined streets (right) : During the (2011) snowstorms that hit the NYC, the Sanitation Department suspended garbage collection for days at a time in order to use trucks for snow removal, which meant about 11,000 tons of trash per day didn’t get collected. Granted, the mess has been caused by more than just missed collections. People have been tossing loose trash onto the bags, and it’s winding up on the sidewalks and streets. Plastic McDonald’s cups. Broken bottles of Budweiser and empty cans of Four Loko, cigarette butts, smashed umbrellas, sheet music, soggy gloves, old newspapers, and damp, dirty sofas — all left out in the open, as if they, too, will just melt away. And thanks to pet owners, who got a little lazy in the bad weather, many city streets are now shellacked with dog feces. Crumbling Detroit, 2010. In the late nineteenth century Detroit (left)emerged as a major transportation hub along the Great Lakes. Gilded Age mansions and other grand buildings spawned the city’s nickname “Paris of the West.” The gasoline crises of the 1970s impacted heavily on the car industry, while racial tensions and increasing drug-fuelled crime spurred the beginning of the end for Detroit’s industrial supremacy. As the city descended into high unemployment, many of its finest buildings, including theatres, hotels, offices and apartments, fell into ruin. The world is rapidly approaching Peak Oil production and will be at an inflection point soon, if not already, after which, real prices will (or already have) begin a long rise. Price inflection is possible before the next economic recovery, but will certainly come with a recovery, which will then be short-lived, because rising energy prices will channel money away from other discretionary expenditures. During the years, 2009-2010, the USA and Europe were in recession with lower oil requirements, which have skewered the associated 2007 chart by extending the plateau top and pushing the ‘decline in production slope’ (with subsequent increase in prices) into the future another couple of years past the original 2007 projection. Whether we are out of the recession or not by 2015, production declines and the resultant rise in petroleum prices will probably have become an unpleasant factor in our national and personal, financial lives. Saturday, 4 Sep 2010, FinancialSense.com weekly, ‘News Hour’ podcast, gave leads to the Peak Oil reports listed below. These articles (only the lead paragraphs have been re printed here) seem to be telling a story, a story which has not yet been shared to any degree with the American people by either the Government or the news media. Furthermore, there is not just one news item, but increasingly frequent, almost monthly reports issued by responsible, main stream institutions in Europe, the USA and the Middle East. Europe is currently advancing on a continent wide program toward fossil fuel independence; its estimated that in 10 years, by 2020, 20% all of Europe’s energy, not just its electricity, will be derived from renewables. What is happening in the United States? Nothing that I’ve heard of or seen. Maybe the government is waiting for a ‘Peak Oil-Pearl Harbor’ type crisis to create a popular mandate for action—as opposed to making plans and choosing an intelligent path while there is more time and opportunity to implement and mass test renewable systems. a) London, 10 February 2010: UK Industry Taskforce on Peak Oil and Energy Security (ITPOES) study on peak oil was released: “Business calls for urgent action on ‘oil crunch’ threat to UK economy”. A group of leading business people today call for urgent action to prepare the UK for Peak Oil. The second report of the UK Industry Taskforce on Peak Oil and Energy Security (ITPOES) finds that oil shortages, insecurity of supply and price volatility will destabilize economic, political and social activity potentially by 2015.
d) “A new study published in the Journal Energy & Fuels predicts that world conventional oil production will hit its peak in the year 2014.
e) April 2010: guardian.co.uk, “US military warns oil output may dip causing massive shortages by 2015” by Terry Macalister. The Shortfall could reach 10 million barrels a day, report says, while the cost of crude oil is predicted to top $100 a barrel. “The US military has warned that surplus oil production capacity could disappear within two years and there could be serious shortages by 2015 with a significant economic and political impact. The energy crisis outlined in a Joint Operating Environment report from the US Joint Forces Command, comes as the price of petrol in Britain reaches record levels and the cost of crude is predicted to soon top $100 a barrel. f) June 2010: Guardian.co.uk, news article posted 11 July 2010, “Lloyd’s adds its voice to dire ‘peak oil’ warnings”, by Terry Macalister. “Business underestimating catastrophic consequences of declining oil, says Lloyd’s of London/Chatham House report. One of the City’s most respected institutions has warned of “catastrophic consequences” for businesses that fail to prepare for a world of increasing oil scarcity and a lower carbon economy. The Lloyd’s insurance market and the highly regarded Royal Institute of International Affairs, known as Chatham House, says Britain needs to be ready for “peak oil” and disrupted energy supplies at a time of soaring fuel demand in China and India, constraints on production caused by the BP oil spill and political moves to cut CO2 to halt global warming. “Companies which are able to take advantage of this new energy reality will increase both their resilience and competitiveness. Failure to do so could lead to expensive and potentially catastrophic consequences,” says the Lloyd’s and Chatham House report “Sustainable energy security: strategic risks and opportunities for business”. g) August 2010: Spiegal Online International, posted 4 September 2010, “German Military Study Warns of a Potentially Drastic Oil Crisis“, by Stefan Schultz “A study by a German military think tank has analyzed how “peak oil” might change the global economy. The internal draft document — leaked on the Internet — shows for the first time how carefully the German government has considered a potential energy crisis. • “Shortages in the supply of vital goods could arise as a result, for example in food supplies. • Oil is used directly or indirectly in the production of 95 percent of all industrial goods. • Price shocks could therefore be seen in almost any industry and throughout all stages of the industrial supply chain. • (Relapse into planned economy) Since virtually all economic sectors rely heavily on oil, peak oil could lead to a partial or complete failure of markets. A conceivable alternative would be government rationing and the allocation of important goods or the setting of production schedules and other short-term coercive measures to replace market-based mechanisms in times of crisis…. • (Global chain reaction) A restructuring of oil supplies will not be equally possible in all regions before the onset of peak oil. It is likely that a large number of states will not be in a position to make the necessary investments in time, or with sufficient magnitude. • “MOSCOW — Prime Minister Vladimir V. Putin on Thursday banned all exports of grain after millions of acres of Russian wheat withered in a severe drought, driving up prices around the world and pushing them to their highest level in two years in the United States…Russia is suffering from the worst heat wave since record-keeping began here more than 130 years ago…Wheat prices have soared by about 90 percent since June because of the drought in Russia and parts of the European Union, as well as floods in Canada, and the ban pushed prices even higher. Exports from Ukraine, another major exporter, are down sharply this year…Before this year’s drought, yields had risen steadily, and Russian grain exports totaled 21.4 million metric tons last year, about 17 percent of the global grain trade. Global food supplies will be tighter and more costly in the last half of 2010 and into 2011. Beyond fall 2011 prices may not return to lower levels, because energy input costs from gasoline, petroleum, fertilizer costs, harvest, packaging and shipping will be tightening with the approach of peak oil. See at right, the 2007 U.S.A. ‘Grain Stock to Use Ratios’ chart, projected to 2016. Note, that during the decades when the country was at its wealthiest, we had twice the ‘Stock to Use Ratio’ as when the current recession began. Rather than build and maintain reserves during good times, we have depleted reserves. • Globally, 2008 saw record lows in global grain stocks. When commodity prices reached their peak, average global grain stocks reached 18.7% of annual global utilization, equivalent to 68 days worth of supply, well below the long-term average. Where are food prices going? When combining: 1) globally reduced food stock supply plus, 2) increasing demand from a growing world population; 3) increasingly demand from affluent Asian markets wanting higher quality foods; 4) higher priced agricultural fuel & fertilizer, 5) higher priced packaging, and 6) more expensive transportation costs,m 7) devaluation of the US dollar, it points toward an escalating Real Cost of food across the coming years. In 2008, the National Academy of Sciences produced a report for NASA that confirmed the EMP Commission’s warning that a “great” geomagnetic storm could have catastrophic consequences for modern civilization. According to the NAS report, if the 1859 Carrington event happened today, it could destroy nationwide the electric grid, collapse the critical infrastructures and take 4-10 years to recover – if recovery is possible at all. In June 2010, the Department of Energy and North American Electric Reliability Corporation released a joint report that, again, confirmed the EMP Commission’s warning about the catastrophic threat from a “great” geomagnetic storm. So it is incomprehensible why the Senate Energy and Natural Resources Committee on Aug. 5 – just days after NOAA warned about the possibility of a severe geomagnetic storm actually striking our planet – would gut H.R. 5026, The Grid Reliability and Infrastructure Defense Act, that is designed to protect the United States from the effects of a geomagnetic storm. H.R. 5026 would protect the national electric grid from “all hazards” – including EMP from geomagnetic storms, nuclear EMP from terrorists or rogue states, cyber threats, sabotage and natural disasters. H.R. 5026 embodied the recommendations of the EMP Commission, the National Academy of Sciences and the Department of Energy. The revised H.R. 5026 does nothing to protect the United States from EMP from geomagnetic storms, or nuclear EMP from rogue states and terrorists, from sabotage or from natural disasters. The Senate gutted H.R. 5026 despite the EMP Commission’s recommendation that protecting the grid against “all hazards” is technologically the best and most cost-effective strategy. For example, an “all hazards” strategy could mitigate the worst threats to the grid from natural and nuclear EMP and cyber threats for $100 million – and possibly save the lives of millions of Americans. But the Senate Energy and Natural Resources Committee chose to ignore the EMP Commission, the National Academy of Sciences and the Department of Energy. Every member of the Senate Energy and Natural Resources Committee received a personal appeal from the EMP Commission and other prominent experts to pass H.R. 5026 with its provisions for protecting against EMP and “all hazards” intact – but those appeals were ignored. Fortunately, Earth dodged the bullet from the August 6, 2010 solar flare. Fortunately, NOAA’s estimated 10 percent chance of a severe geomagnetic storm did not materialize – this time. We may not be so lucky next time. “Wednesday, 18 August 2010, TVC Special Report: Electromagnetic Pulse (EMP) weapons pose a serious and growing threat to our national security. Rogue nations and terrorists are working to develop EMP devices to attack the United States and other developed nations. These include North Korea, Iran and China. Once North Korea and Iran have missiles capable of reaching the U.S., they can use an EMP burst over our nation to destroy us. A nuclear blast 200 miles above the U.S. could wipe out every electric grid in the country, plunging our nation into darkness. It would literally send our nation back to the 18th century. (A powerful X15+ class solar flare would have the same impact.) An EMP blast from a nuclear bomb would shut down devices, and our vehicles using microchips. Planes would stop flying; banks and hospitals would cease operation; trains would stop running; tractors, trucks and cars would cease working. Elevators would malfunction; subways would stop. All commerce would cease. A blast like this could not only wipe out the electric grid in the U.S., but in Canada and Mexico. The more technologically advanced a nation is, the more vulnerable it is to an EMP attack. 2) What Can Be Done? • 50% of the people will just sit down and wait for someone to come and help them, and if no one does, they’ll just die. 10% of the people know what to do and do what is needed in a logical way. 5% of the people become extremely dangerous almost immediately. About 33% of the people feel that they’re entitled to electric power and when they don’t get it they go nuts and will bring down the social system. As of this morning, ~ 4:05AM, Thursday, 9 September 2010, the Outstanding US National Debt is $14,278,946,101,012 dollars—that’s $14.2 trillion dollars and constitutes 93% of the national Gross Domestic Product. With the current US population of 310,383,941 the National Debt comes to $46,004 per person. The Outstanding US National Debt is the sum of all outstanding debt owed by the Federal Government and includes: Social Security and Federal retirement programs, other trust funds, US Treasury Securities, and Savings Bonds. Organizations loaning money to the US Government through US Treasuries include: state and local governments; individual investors, including brokers, public and private; pension funds; mutual funds; holders of US savings bonds; insurance companies; banks and credit unions; and foreign investors. Add the GSE (Freddie/Fannie) debt to that and we are over 18 trillion. Pile on the unfunded liabilities hidden on the government’s ‘off balance sheet ledgers’ and you will find these figures: Social Security (14.6 trillion), Prescription Drugs (19.2 trillion), Medicare (76 trillion). You owe, your kids owe, all of us owe about $400,000 each. The annual US Budget Deficit is about $1.4 trillion. The annual budget deficit is the difference between actual cash collections and budgeted spending (a partial measure of total spending) during a given fiscal year, which runs from October 1 to September 30. In order to get an idea how much $1 trillion is, if you counted one dollar every second, you’d need to count for 31,000 years to go through the $1 trillion pile of dollars. About 31,000 years ago the Neanderthal died off across Europe. Our stone age ancestors were just beginning to make engravings on cave walls. “The downside to increasing deficits and a rising national debt is that public sector spending “crowds out” more and more private sector investment spending. If you like the idea of Congress and the president playing a growing role in the nation’s allocation of resources, then I suppose that should be of little concern. On the other hand, if you think government leaders are far more likely to make bad investment decisions than are private decision-makers, then crowding out is of considerable concern. Today the United States has become so reliant on the largesse of foreigners that its needs are now larger than all the savings in the Western world. Someday soon, those foreigners will grow cautious about lending to a country with no self-discipline and demand instead higher interest rates to protect them from a depreciating dollar. Or they could, as hinted recently, insist on lending in Euros or Renminbi, currencies that the American government cannot print. The unprecedented expansion of central bank liabilities, has made China nervous about holding more dollars and China has begun to dump dollars, driving up prices of dollar based hard assets. China is so concerned about America’s dollar inflation that it has reduced its treasury holdings to $776 billion from $801 billion in May. China has also bought more gold as a hedge against the debasement of the dollar. 5. Then comes hyperinflation – spend it now! “Hyperinflation is not just an increase in the money supply, after all the central bank increases the money supply all the time, a phenomenon we know as simple inflation and which we come to expect as a constant. Hyperinflation, however, happens when uncertainty in the future worth of the currency causes people to start trading it for things of actual utility and more reliable stores of value as soon as they can, as soon as they’re paid. The velocity of paper money moving through the system increases as people seek to get rid of it. So hyperinflation isn’t just the expansion of the monetary base, though the expansion is at the root. The expansion is fuel, but the conflagration doesn’t start till the herd panics. Hyperinflation takes off when the entire population gets wise. The money supply might have been growing in fits and spurts for decades, but the hyperinflationary storm happens when that money really starts to move around as people try to get rid of it. The prices of useful goods get bid up to mind boggling levels. The process accelerates when governments try to stabilize markets…often by adding more paper…because honestly, what else can a government do? Mismanagement and fraud are the only things governments really get right consistently. So, for the government, a problem that’s caused by the theft of inflation can only be solved by…more mismanagement and fraud. The entire process is self-reinforcing and results in the hyperinflationary death spiral to which all currency is heir. • Early on, leaders see their popularity wilt when public anger over spending increased. • The banking system soon becomes an instrument of the government. • The printing of money becomes a priority, the hyperinflation may come in two waves separated by a short, slower inflationary period. • The government may increase minimum wages by 75 percent. • Up to 80 percent of the population may become unemployed. • Living standards may fall 35-40 percent. • Some stores may sell goods in a reputable foreign currency. Industrial society is built on, 1) a foundation of an organized social structure with feedback loops, 2) an interdependent infrastructure of transportation, homes and utilities, 3) and a massive, energy driven commodity flow that processes materials from the mine, timber and field to operate; diminish any link and the size of the system must shrink, break any link and the system collapses. • Where ever you live– the greater the population density of your community and surrounding communities, the greater the resource requirements are, and the faster the breakdown will occur when the supply infrastructure (money, food, water, electricity, auto gas, etc.) is stopped. • Once the Welfare and Medicare checks stop ‘the poor will take care of their own family’ by taking from the people with an apparent wealth of material goods, people who are perceived to be their oppressors anyway. • Once you lose that sense of community, it’s basically every man for himself. One of the most amazing points of ‘Preparedness’ is- the sudden awareness of your vulnerability. • Self Sufficiency: Refers to the state of not requiring any outside inputs or aid, support, or interaction, for survival. Having a bank of batteries that feed power into your systems after the power is out, but which use the power grid to recharge once the power comes back on. Self Reliance: Is having a solar panel to recharge your battery bank, so you do not need the power grid. Having a degree of Self Sufficiency does not mean turning your back on the system (grocery store, electric co.), it’s about accepting the fact that the systems can fail and developing a degree of separation from your dependency. The pioneers who first colonized the New World, Australia, and parts of Africa were self-sufficient because they had to be and, in this context, the term suggests a kind of rugged independence associated with mastering a new and rather hostile environment. • Self Reliant: The practice of being dependent only on yourself, and being able to care for yourself in any situation. Still need inputs, but have a back up a limited period of ‘self sufficient’ capability. To rely on something is to depend on it. If you are self-reliant, you rely on yourself. This can be a good thing if you are independent and take care of yourself. Self-reliance of any kind, political, social or personal, is not an easy goal to reach. “To be nobody but yourself in a world which is doing its best, night and day, to make you like everybody else,” writes E.E. Cummings, “means to fight the hardest battle any human being can fight, and never stop fighting.” It’s a battle well worth fighting-for ourselves and for future generations. from ones job, home invasion, home fire. The period of acute effects is variable depending on the nature of the disaster. • True Wealth: True Wealth is having possession of what it takes to keep a full belly, maintain a sense of hope and pay your bills. Could you live in your home for 3 months if there was a National Epidemic Lockup? Would you have water stored for every member of the family for drinking, washing and flushing the toilet? Would you have enough food, toilet paper, Kleenex, personal medical supplies, and other auxiliary products on hand? goods. You might be able to trade extra water filters, garden seeds, survival books, cooking fuel, batteries, antibiotics, and ammo for other needed products or services. Some people are even converting a modest percentage of their traditional paper investments into some gold and/or silver coins for trading purposes, as well as for prudent wealth diversification. Having wealth in forms other than solely paper dollars, plastic credit cards, or a 401k account might make the critical difference in one day being able to buy gas or get your gravely ill child to the front of a mile-long line to see the only overworked doctor or dentist or pharmacist in town. It’ll sure beat only waving around your last mutual fund or bank statement then. • Commonality of Disasters: We all share a common circumstance and that is, if the public systems/social structures/political leadership/economic and military systems we depend on fail, then we are left to fall back on our personal resources for survival. people, but not accessible for others. For example if you lose your job and run out of money and are unable to pay your credit card, then your credit line is closed down. So, while the financial net provided by credit remains available for most, it becomes inaccessible to you. electronic cash registers, checkout scanners inoperable commercial retail trade would have failed. For a short period, trade would be crippled and not available to anyone, it would become available to persons with cash. things are exposed, but in the virtual world it is easy to hide behind lies – because the system in which we live is, in fact, NOT REAL. Our government won’t publish M3 (which tells us how many US dollars are currently in circulation). I don’t know what will. • The Virtual World: Our world has become virtual in so many ways; from our bank accounts to our relationships on social networking sites. We judge our wealth by looking up our 401 K’s online at work instead of counting the physical assets in our possession. We judge our support systems by how many people wished us a happy birthday on Facebook. We judge our personal security by the fact that we may live in a community with a reportedly low crime rate instead of our own abilities to defend ourselves. We view the world through our television sets which tell us that economic collapses always happen somewhere else. We couldn’t imagine gas stations that are out of fuel, grocery stores with empty shelves, banks with no money, or a local police force that refuses to respond to calls unless they are deemed a “priority”. We couldn’t imagine these things because most of us in America believe that our “civilized society” has evolved to the point where we don’t need to produce things anymore. Instead we just need to pay the rest of the world (with the dollars generated from our service based economy) so that they can produce things for us. Regardless of how fragile our social and economic structure has become due to our reliance on the strength of our currency and our inability to appreciate the gravity of a full-blown societal panic, our ability to thrive in this virtual world has led to a false sense of security that is sure to catch the majority of us off guard when things begin to get worse and the reality of this economic depression begins to settle in. the history of your area and the nature of past disasters. You don’t know what will and will not be available to you in the aftermath. • Survival is not a right and it’s not guaranteed, you have to make it happen. • The typical American’s rainy-day plan: Hope it doesn’t rain. Poll: 24% of Americans have the recommended six months expenses set aside (mostly older people, in their 50s and 60s), 24% have no emergency savings at all (under 30 years old, and/or incomes less than $30,000/ year.). Fewer than 50% had saving worth 3 months expenses. • Where ever you live– the greater the population density of your community and surrounding communities, the greater the resource requirements are, and the faster a breakdown will occur when the supply infrastructure (money, food, water, electricity, auto gas, etc.) is stopped. • Once the Welfare and Medicare checks stop ‘the poor will take care of their own family’ by taking from the people with an apparent wealth of material goods, people who are perceived to be their oppressors anyway. Once you lose that sense of community, it’s basically every man for himself. • Failure to plan on your part does not constitute an emergency on my part. • If I have food and you have gold, before long I’ll have all your gold and you’ll have a small amount of my food. • Reality has no compassion, its neutral. • A battle plan never survives contact with the enemy. can destroy it with a few years of severe inflation. etc. Think Swiss Family Robinson. Even in America and Europe there could be moments of riot, rebellion or other causative factors precipitating a period when law and order temporarily completely breaks down. • Banks only have around 4 cents in cash for every $1 on deposit. As long as the US & world economy and currencies are in decline, the number of nations in revolution and in bankruptcy are increasing, don’t leave any more than the minimum amount of currency in your account. to goods. Understand this and you will understand why gold and silver have stayed around as money for centuries while governments and their “legal tender” have come and gone. I suggest you get yours before you can’t. • The Wall Street Journal podcast (4 June 2011) reported that a study recently showed that 40% of the businesses forced to close due to a natural or manmade disaster, never reopened. peasants. Debt is the money of slaves. • When there’s a gap between perception and reality, more reality won’t close the gap. • Those who sweat the most during peacetime bleed the least during wartime. • Remember, none of us will ultimately be survivors – we all have to die one day. But the successful survivor extends his or her life beyond an earlier death…a death that was caused by ignorance of how to make that life last longer. freezing rain or submersion, then exposed to freezing or near freezing air temperatures). calories. To save calories in a survival situation you need to focus on the essentials and not spin your wheels doing a bunch of things that won’t improve your status or enable a rescue. C. 7 Skills used to defeat the 7 Enemies of Life. D. Can survivalism be compared to a game of chess? bishops, rooks (castle), queen and king. Good chess players always think several moves ahead, they have plans and backup plans. If one plan does not work out, then the next plan is put into play. Pawns – stockpiled food, water and other supplies. Rook (or castle) – Your home, shelter, retreat, bug out location. Knight – Your weapons and firearms. Bishop – Your faith, religion, morals or values – this is what you believe in. King and Queen – the family unit. only have so many to go through before you will run out. Rook, symbolic of a home and shelter. A man’s house is his castle. Knight, symbolic of old Europe. These are defenders of the faith and crown. They are portable, and able to jump over other pieces on the board. The knights job is to protect the queen. Bishop, symbol of what is good and holy. King and Queen, the goal of the game is to keep them alive. Just as the queen is the strongest piece on the chess board, so are women strong in a survival situation. A lot of times women are more resourceful and cunning then men. The King, without his queen and other resources, he is nothing. As the game draws to an end, and the king is the only piece left on the board, we realize how important team work is. As he scurries about trying to avoid checkmate, survivors with no friends, family or other resources will scurry around trying to stay alive. As the opponents pieces move in for check mate, so death moves in to claim its next victim. Only through resources and skillful planning, will the king and queen win the day. Cutting – A solid dependable knife. Combustion – A way to quickly and reliably start a fire in all conditions. appropriately for where you are. Container – A way to carry, store and boil water for purification. Also for carrying food, cooking, etc. Cordage – A way to tie and lash together available resources for shelter, carrying, traps, etc. Sheeple: Kind, decent and productive, don’t hurt one another unless by accident. In denial of the potential for danger and self-sufficiency. They don’t particularly like the sheep dogs as they ‘look’ too much like the wolves and may have a capacity for violence. Sheep dogs: protect the flock and confront the wolves. People of the front line. People with the heart of a warrior, a warrior class. Ones who walk the heroes path, who walk into the heart of darkness. The military, police and armed Citizens (particularly ones w/ Carry Permits). Sheep dogs are people who have a capacity for violence, but who’d never consider hurting any of the sheep. Typically, the sheep tend to be afraid of the sheep dogs, referring to the police as ‘ruthless cops’ and others as ‘crazy Survivalists’. Yet every year, more bad guys are shot by armed citizens than by police. Sheep dogs have one advantage over the Sheep, they are able to survive in an environment that destroys 98% of the other people…Sheep Dogs are not in denial. watching for people who walk bent over, slowly, unsteady distracted and weak. Victims are chosen in a way similar to a large carnivorous cat does, selecting one that looks weak then culling it out of the herd. “A number of years ago, three friends and I flew by ski-plane into the tiny town of Bettles just south of the Arctic Circle in northern Alaska. We then adventured by dogsled a few miles up a river, where we came across the cabin of a fur trapper and his family. Fascinated, we looked at the skins that made his livelihood, shared some moose-jerky, and listened as he explained how he tended some 20 miles of trap lines. It seemed dangerous to us. He’d be gone for days, alone, miles from the cabin, completely at the risk of the violent Alaskan winter storms. “Insured against being caught by a storm?,” I asked incredulously. • “God will save you from hidden traps and from deadly diseases. He will cover you with his feathers, and under his wings you can hide. His truth will be your shield and protection. and disruptions, keep in mind, that each step is like acquiring commercial insurance. We all hope and pray we won’t need that insurance, but if we ever do, our families won’t find us lacking in providing for their basic safety and welfare.